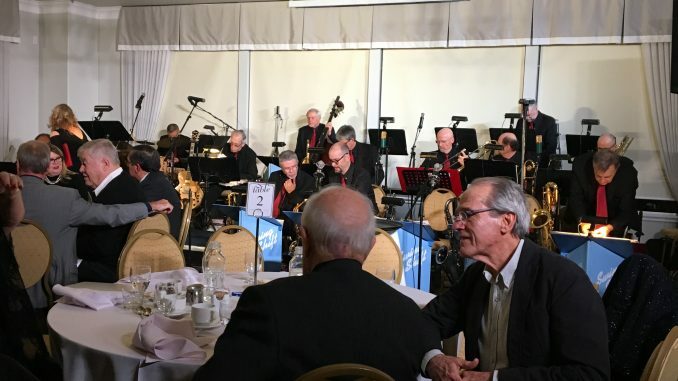 Oakville’s Harbour Banquet and Conference Centre hosted the 2018 West End Jazz Series Gala Night last weekend. Hundreds of Oakville residents filled the building to listen to some of the city’s best jazz performers. 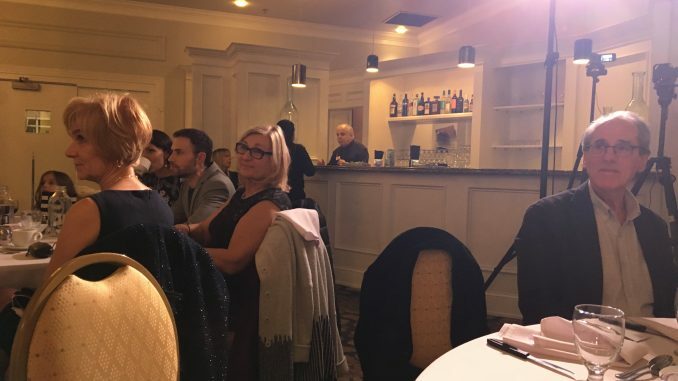 Attendees purchased ticket bundles that included special dinner reservations and drinks to enjoy while they watched the show. A bar was set up for people to purchase glasses of wine and beer. 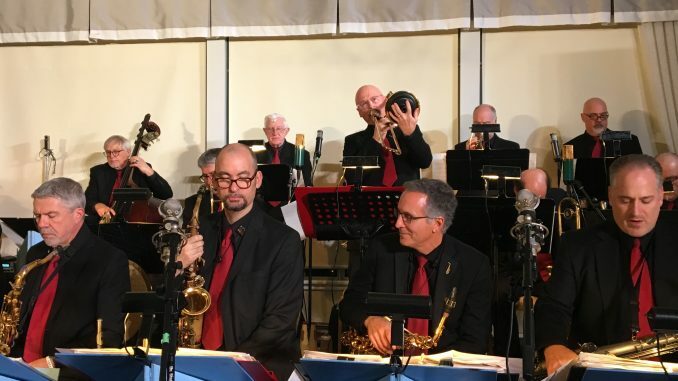 In attendance was the Swing Shift Big Band, celebrating its 23rd anniversary. The band included five vocalists and 20 musicians. Each vocalist got up on stage to perform class jazz tunes written by their favourite artists, including Judy Garland and Frank Sinatra. The leader, Jim John, has been directing the band since they formed in 1996. Jim John, second right, and his band members from the show. John says he loves performing at local events because of the way it makes people feel. Despite being in the music industry for more than 20 years, John says he still experiences little bits of performance anxiety. Larisa Renee, 51, has been a vocalist in the band for many years. She grew up in a family that had a strong passion for music. She took piano lessons and played the flute as a child. When she was an adult, she attended Humber College and was devoted to pursuing music as her career. Renee says she loves performing because it makes her feel empowered. Renee says that the best way to deal with performance anxiety is by practising constantly. As for the band’s long-term goals, John says they hope to reach 30 years together. For more information on the band and its upcoming show dates, visit their website. 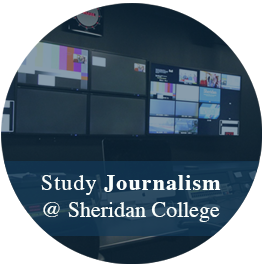 Tamara von Estorff is a web-based writer studying Journalism at Sheridan College. She enjoys social media, blogging, and books.